NEW VOICES: Retired Police Captain Says Repealing Death Penalty Is "Smart on Crime"
Jim Davidsaver, a retired police captain with over 25 years experience in the Lincoln (Nebraska) Police Department, recently advocated for repeal of the state's death penalty from a law enforcement perspective. In an op-ed in the Lincoln Journal-Star, Davidsaver said, "[M]y professional experience has shown me that our state’s death penalty doesn’t keep us any safer. Its exorbitant cost actually detracts from programs that would promote the overall health, safety and welfare of our communities." He highlighted the financial tradeoff between the death penalty and other crime prevention measures: "The millions of dollars we’ve spent on the death penalty would have been much better invested in more police officers, additional resources or training for our current officers." He concluded, "The cheaper, more intelligent alternative for our state is life without the possibility of parole. Repealing the death penalty does not mean we are ‘soft’ on crime. It means we are smart on crime." The Ohio legislature is considering a bill that would prevent the public and the courts from knowing the name of compounding pharmacies that produce lethal injection drugs for the state and the identity of medical personnel participating in executions. Critics of the bill say such interference with the courts and the First Amendment right to free speech would be unconstitutional. At a committee hearing, Dennis Hetzel, executive director of the Ohio Newspaper Association, said, "This bill likely will prompt endless litigation – a precise situation you are trying to avoid." Similar secrecy laws in Pennsylvania, Missouri, Arizona, and Oklahoma are being challenged in court by media organizations. The non-partisan Legislative Service Commission also raised constitutional concerns about a provision of the bill that would void any contract if it had a clause prohibiting the sale of lethal injection drugs to the state, saying that could violate state and federal prohibitions against impairing contracts. 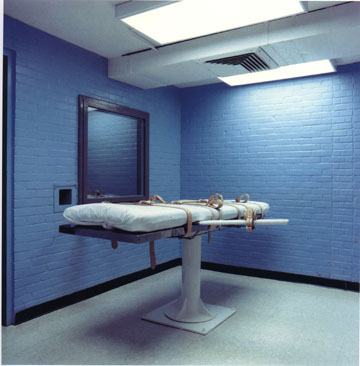 Ohio State University law professor Doug Berman questioned whether the state should go to such lengths to preserve lethal injection: "If the only way we can preserve this method of execution is by making it more secret, that, to me, is something of a sign that we shouldn't be trying to preserve this method of execution." Nebraska Attorney General Jon Bruning said executions in the state are unlikely to resume for at least another year because of the scarcity of lethal injection drugs. "Death row is sort of in limbo today," he said, adding that efforts to find alternative drugs have been diverted due to other state concerns. Nebraska's last execution was in 1997, by electrocution. The state's execution protocol calls for use of sodium thiopental, which is no longer being manufactured for the U.S. Earlier, the state had obtained sodium thiopental from a distributor in India, but the drug expired this year. The Department of Corrections would have to rewrite its protocol to allow for different drugs. State Sen. Ernie Chambers said he would work to prevent such changes: “I would fight tooth and nail... against what Bruning is talking about.” Bruning, who is leaving office in two months, said it will be up to the new governor and attorney general to decide “if and when” they want to address the state’s death penalty. 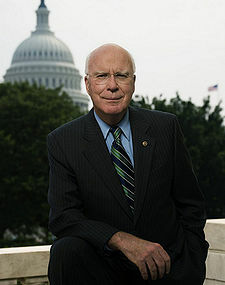 In a recent speech in the U.S. Senate calling for the reauthorization of the Justice for All Act, Senator Patrick Leahy (D-VT) spoke about the recent exonerations of two men in North Carolina, citing the importance of DNA testing in their release from prison after 30 years: "The dozens of exonerations made possible by the Justice for All Act are testament enough to its value," Leahy said, "Henry Lee McCollum and Leon Brown are just the latest examples. 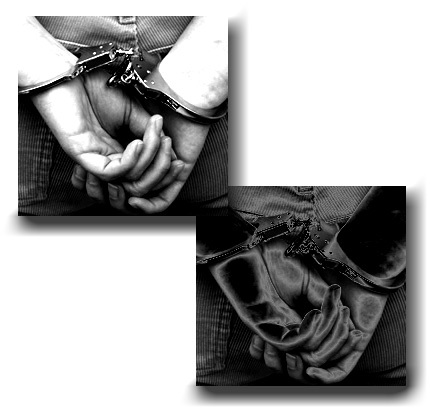 The injustice they survived – and the fact that North Carolina nearly executed an innocent man–should dispel any doubt that this legislation is urgently needed." The Act was first passed in 2004 and has provided important assistance to states and local governments in using DNA evidence to convict the guilty and exonerate the innocent. The reauthorization is sponsored by Leahy and Senator John Cornyn (R-TX). The testing in the North Carolina case was funded by the Kirk Bloodsworth Post-Conviction DNA Testing Grant program, a portion of the Justice for All Act named for the first man exonerated from death row by DNA evidence. Read Leahy's statement below.